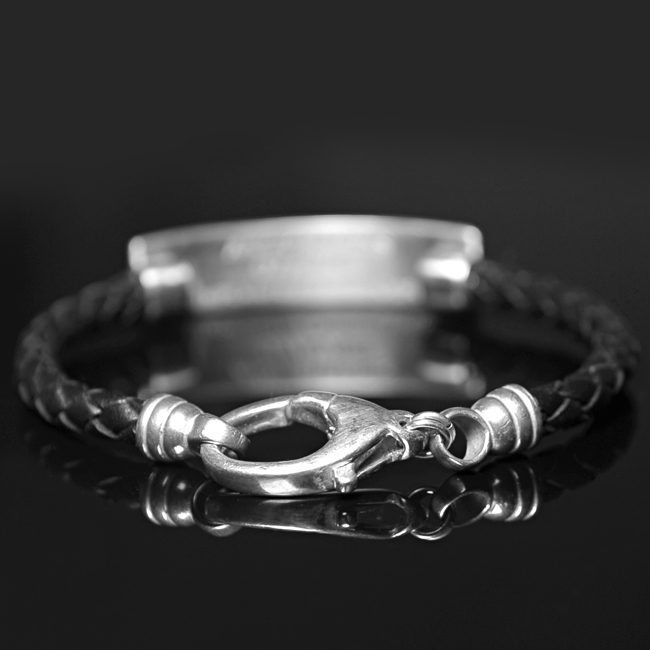 An understated black leather ID bracelet handmade by LWSilver. 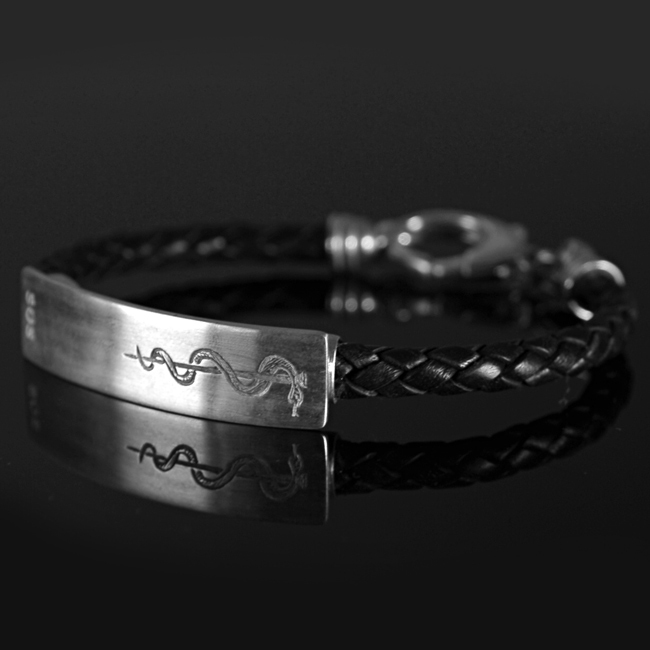 Crafted from sterling silver it feature a hand engraved medical alert symbol and SOS stamp. Availability: In stock Size: N/A Categories: All Jewellery, Bangles, Mens Jewellery, Commissions. 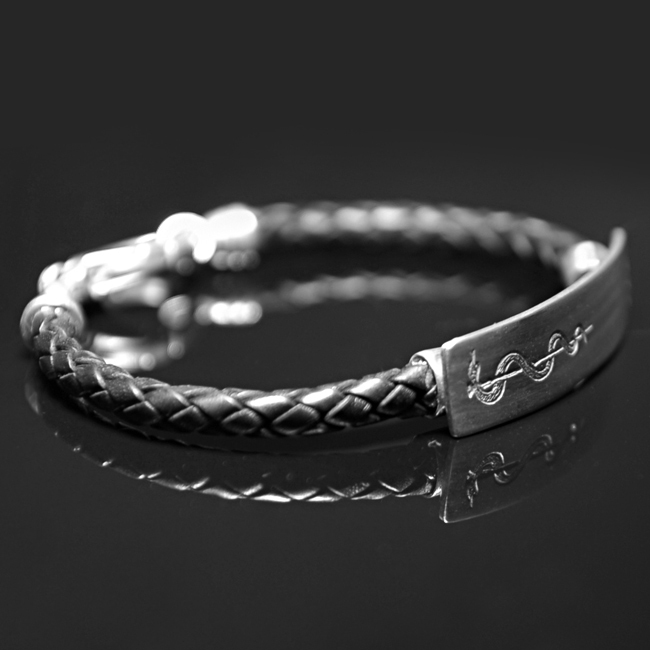 Tags: bespoke, bespoke silver, commission, commissions, designer, handmade, handmade silver jewellery, ID bracelet, identification bracelet, jewellers, jewellery, jewellery Liverpool, jewellery maker., leather, Leather ID Bracelet, liverpool, LWSilver, medical alert symbol, north west, north west jeweller, silver, silversmith, unique, wedding rings, wirral. The Identification band can also come with extra medical details on the inside. Beautifully crafted unique piece. 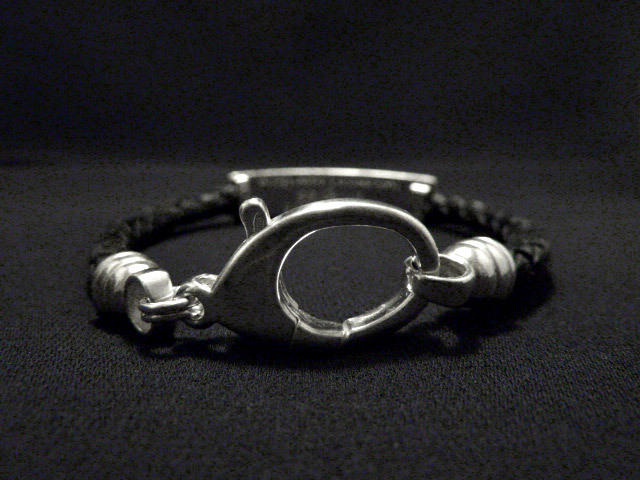 Materials: 925 sterling silver/leather cord.